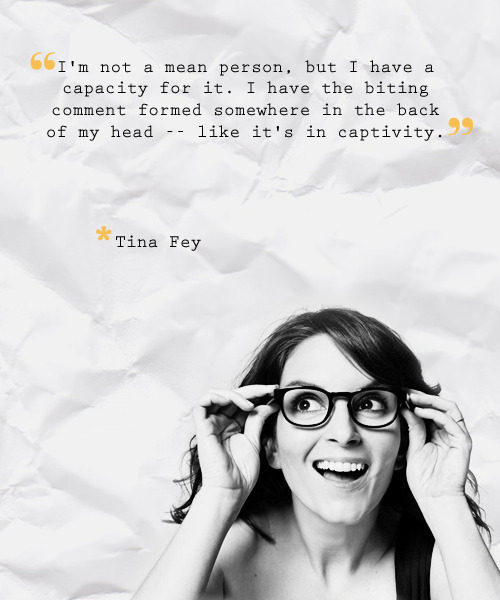 See the gallery for quotes by Tina Fey. You can to use those 7 images of quotes as a desktop wallpapers. If you want to make an audience laugh, you dress a man up like an old lady and push her down the stairs. If you want to make comedy writers laugh, you push an actual old lady down the stairs. An interim government was set up in Afghanistan. It included two women, one of whom was Minister of Women's Affairs. Man, who'd she have to show here ankles to to get that job? I was the editor of the school newspaper and in drama club and choir, so I was not a popular girl in the traditional sense, but I think I was known for being relatively scathing. I was a very confident little kid. I'm married, you know. I love my husband and I have a child. Most of the time you're too busy to think about it. But every now and then you say, 'I work at 'Saturday Night Live,' and that is so cool. Somewhere around the fifth or seventh grade I figured out that I could ingratiate myself to people by making them laugh. 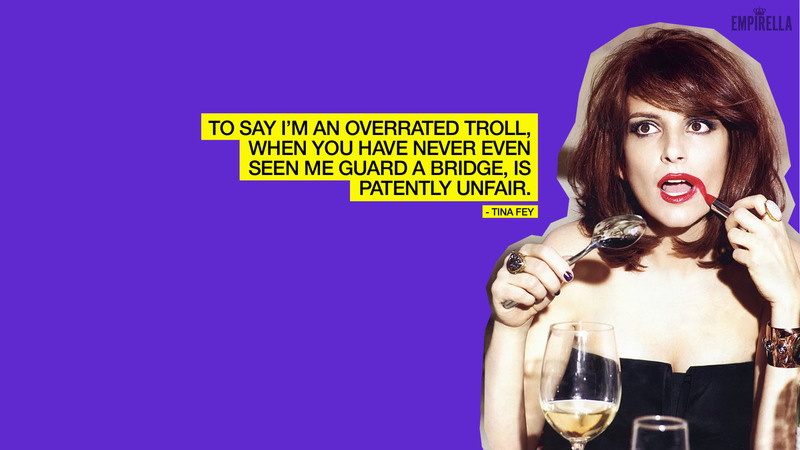 Essentially, I was just trying to make them like me. But after a while it became part of my identity. I don't like my feet. I'm not crazy about anybody's feet. But I have flat feet. I like to write about women, not so much about the way they relate to men, but about the way they relate to each other. I still want Oprah to play my best friend. I want to spend time with Oprah. 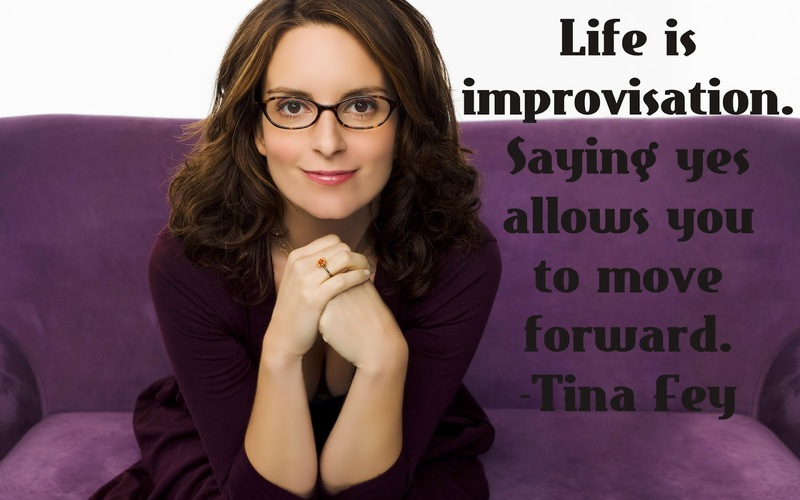 I'm more of a writer than an actor, and I used to say that I'm mostly an improviser, though I haven't improvised in awhile. I grew up in a family of Republicans. And when I was 18 and registering to vote, my mom's only instruction was 'You just go in and pull the big Republican lever.' That's my welcome to adulthood. She's like, 'No, don't even read it. Just pull the Republican lever. 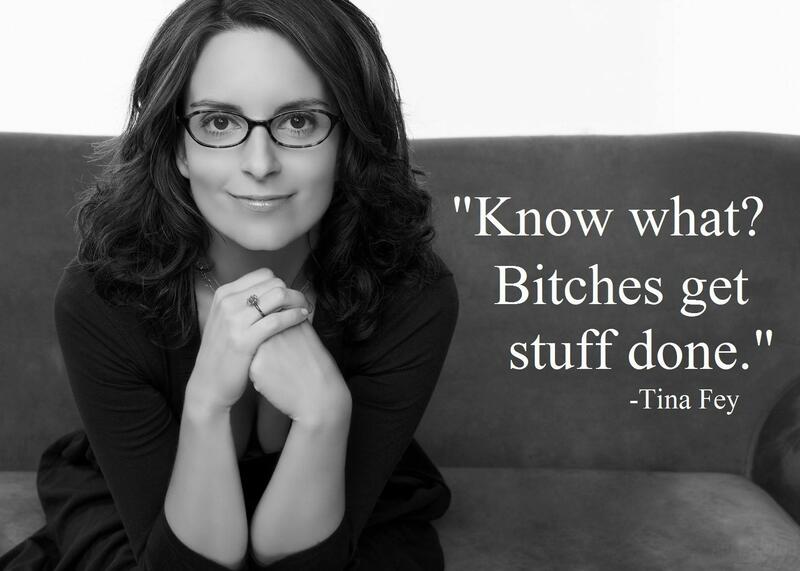 I think for women especially, you need to have a plan. I need to have some other ways to generate income, so I don't have to stretch my face or lift the top of my head with surgery or something. Mary Tyler Moore was a working woman whose story lines were not always about dating and men. They were about work friendships and relationships, which is what I feel my adult life has mostly been about.